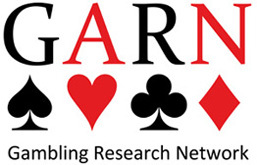 The Swedish network of gambling researchers – GARN – held its fourth meeting on November 19 – 20, 2014, in Stockholm. The agenda included many topics but to me the most interesting discussion was about the concept of addiction. The discussion was held in connection to two presentations about online gaming. The presenters – Rune Aune Mentzoni (invited guest from the University of Bergen) and Daniel Kardefelt-Winther (London School of Economics) – had different opinions, the former favoring the addiction concept and the latter questioning it. Furthermore, Johan Edman and Josefine Berndt from SoRAD gave a historical perspective on the concept of “gambling addiction”, in a presentation of their study based on material from the Swedish Parliament today compared with the 1970th. On the train back to Gothenburg after the meeting I happened to read an article by Luke Clark (1) about the concept of addiction in relation to behaviors that do not involve substances, such as gambling and online gaming. That reading was timely, since the article shed light on the issues discussed at the GARN-meeting. 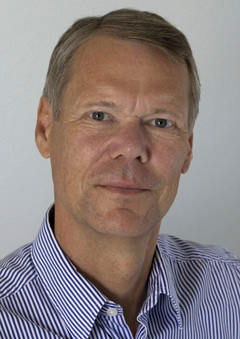 Clark’s main point (drawing on ideas formulated by David Reddish) is that conceptualizations of “substance-less” addiction should consider the fact that substances have a much stronger effect on the neurological system than any behavior can have (at least behaviors that can be willfully repeated during normal circumstances). That is what makes substances like heroin and alcohol potentially addictive. Thus, something else than just the effects of behavior on the neurological system ought to be at work for behavior to take on an addictive character. Clark suggests that in the case of gambling, cognitive distortions is a crucial component. In my view, this is a fruitful perspective that is compatible with my motivational model of gambling and problem gambling (2). In that model, addiction in the medical sense (i.e. involving the neurological reward system) is just one component among others that may contribute to harmful gambling. Other components include the individual’s beliefs about gambling, socio-cultural context, and symbolic meanings of gambling. In a multi-disciplinary perspective, it appears to be of little value to decide if harmful gambling (and internet gaming) is an addiction or not. It is more fruitful to acknowledge that these activities sometimes may assume an addiction-like character, which can be related to neurochemical processes, but that beliefs, social context and cultural meanings are always important and situated in larger systems of markets and societal structures with their ideologies. But this post was about the GARN-meeting, so let’s return to it. Other issues covered at the meeting were preventive initiatives in Denmark (Benedicte Ejlers), perspectives on Swedish gambling research in the future (Anders C. Håkansson) and invited guests who spoke about the Swedish gaming business and responsible gambling (Johanna Nylander and Zenita Strandänger, respectively). (1). Clark, L. 2014. Disordered gambling: The evolving concept of behavioral addiction. Annals of the New York Academy of Sciences 1327(Oct.), 46-61. (2). Binde, P. 2013. Why people gamble: A model with five motivational dimensions. International Gambling Studies 13(1), 81-97.